Radiograph of the abdominal area of a drug courier. 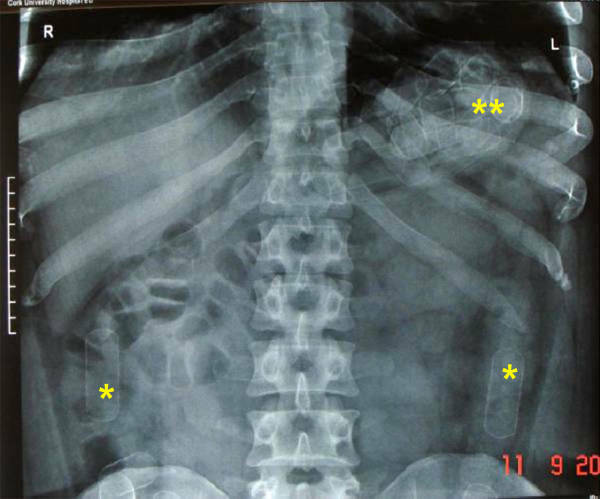 Multiple capsules, filled with drugs are visible in the stomach (yellow markers **) and intestines (*). The man swallowed 38 capsules with cocaine.